What If One Spouse Wants to Sell the House After the Divorce and the Other Doesn’t? However, the real world doesn’t often work so smoothly. As in your case, many single ex-spouses cannot afford to make the mortgage payments on their own. If they don’t have sufficient credit and income, they will not be able to qualify for a refinance, which means they can’t buy out their ex-spouse and take that spouse off the mortgage and the property deed. Brenda, you may be tempted to let things stay as they are since your spouse is paying your mortgage. That would be a bad idea. If your name is on the mortgage of the property, then it will likely be very difficult for you to get approved for a new mortgage if you wanted to buy another home. Your mortgage responsibilities will also be reflected on your credit report, which could make it difficult for you to be approved for future loans, such as a car loan. Additionally, if your spouse were to stop making mortgage payments on the house, your credit would be damaged along with his! Finally, if the house is considered marital property, then you are likely entitled to a portion of the equity. That’s money that can help you start over or to use as a down payment on your next home. In your case, it sounds like you and your husband are still legally married. My first bit of advice would be to initiate divorce proceedings if you are ready to dissolve your marriage so that you can divide your estate. You can give your husband the chance to buy you out of your share of the house during your divorce negotiations. (If you don’t have a lot of money, then I would advise considering divorce mediation).) If your husband cannot buy you out, then you can ask a family law judge to compel a sale. This will take some time and may require you to hire an attorney to help you with the motion, but if you can get your share of the home’s equity back, then it will be money well spent! It is often best to consult a divorce attorney in your state so that you can understand the state laws that pertain to your case. 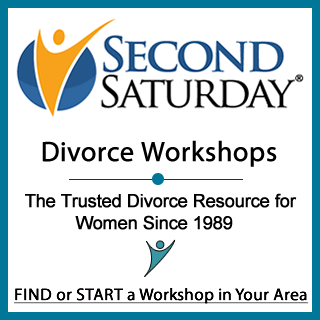 If you are worried about the cost of an attorney, a great place to get more information about divorce is to attend a Second Saturday Divorce Workshop in your area, which often features advice and presentations by divorce attorneys, financial advisors, and other divorce experts. my husband left me in DEC.and. moved out of our house. he.payed mortgage for Jan and Feb couldn’t pay any more i,ve been paying the mortgage since then… we put house up for sale two weeks ago…since he walked out on me and hasn’t paid for the mortgage ..how long before its considered abandonment and what can i do can i keep the house if hes not paying mortgage and he left me..
I’m not an attorney and I’m not familiar with the laws of your state, and so I have no idea what constitutes abandonment, nor whether it has anything to do with anything legally. If you want to keep the house you’ll need to pay the mortgage, or you’ll lose it, so that’s the first thing to do. And then you’ll need to figure out how to pay him for his share of the equity in the home, if there is any. Husband filed for divorce, we live in the home I purchased before marriage. His name is not on the house, will I have to pay him anything ? Talk to an attorney to find out how the laws work in your state. We have a mortgage free home, have been married for 48 yrs, and plan on divorcing. My husband is retired and has VA benefits that allow him to purchase a house with no down payment. I have a small social income and work part time. Can I ask for our house, by buying him out? If you have the means to buy him out of the house, and he doesn’t object, then you can buy him out. If he also wants the house, you’ll have to ask an attorney who gets first right to buy the other out in your state. My husband and I divorce is final, in the agreement he had 14 days to decide to sale the house or buy me out, he decided to buy me out. The question is, how long does he has to send me my half? If it’s up to him he would never do it if he isn’t told by the judge. What’s my next steps? How long does the agreement say? If it is silent, then you’ll need to find out from your attorney whether there is a time given by law, or whether you’ll have to put one in an agreement. My divorce was final almost 14 days ago. Court ordered house to be sold. My ex says why should we sell it and said we ( my kids and myself) can stay as long as we want. Is this true? He has made no attempt in helping me list the home and when I bring it up he asks why do we have to sell it. Ask your attorney whether you can delay the sale if you and he agree that you can stay. The house we live in was brought by me in an attempt to leave my husband. He talked me into trying to make the marriage work. So he ended up moving into the new house with me. His house he had before the marriage, my house that his name is not on I brought after the marriage during a separation. His name isn’t on the deed or loan. I now want a divorce, he is still living in my House. If I sell does he get half. If I stay do I have to buy him out? In NC. The laws of each state are different. You’ll need to ask an attorney or someone familiar with the laws of your state what claim he has on the home, and what claims you have on the other home. including agent fees’ for both sides are normal, when buy her out? My ex said that if I buy her out, then why she needs to pay the agent fee. In a way, it makes sense but what if when I sell the house later maybe, then I have to pay fees anyway. If there are no broker fees being charged, as when one spouse buys out the other, then there are no actual costs to divide. If the two of you agree to reduce the value of the home by the fees that would be paid if it were being sold, you can certainly do that. But it is likely that there would be no reduction for fees that are not actually being paid if you went to court. If your name is on the house then you are the owner of the house. If you can’t afford to buy him out, and he owns part of the house under the law, then I guess it will have to be sold, unless you have a family member who wants to help you out. I have been divorced for eight years. In the divorce I foolishly agreed to pay mortgage and taxes. While he payed only child support until my youngest one graduated college which was over a year ago. Now the house is on the market to sell. Is there any way I could go back to court to try to change him from getting 50% off the sale of the house? I’m guessing that after 8 years, there would be no way to change your divorce agreement without his consent. But I’m not an attorney and I don’t know the laws of your state, so you’ll need legal advice to determine that. I have a house that i’m the sole owner of and purchased prior to getting married but recently split up, Could the courts force me to sell the house if i didn’t want to as part of the split being that there is kids involved? If it is your separate property from before marriage, the court may not have any say over it. Talk to an attorney who knows the laws in your state to find out what they say about your situation. From South Africa. My wife divorcing and want to buy me out. Only stayed in new house for 2years. I want to sell and dont want her to buy me out. We will make a loss if she agree to sell. Can the court force me to be paid out by my ex wife? My intention is to sell and both of us walk away with the loss. Can see overide my decision as the bond comes off her salary and she earns more than me. In general, if one spouse wants to buy the other out they can do so. But I do not know what the courts in your jurisdiction can or will do. What happens if the judge orders us both to vacate and sell our marital home and divide the proceeds but no one wants to buy the house? Who will have to pay the mortgage/insurance/taxes and upkeep until the house sells? That’s a good question. If the judge didn’t say and you can’t decide between you, you may have to ask the court for further guidance. I’m guessing the court will tell you to lower the price until you attract a buyer, but that’s just a guess. If it were up to my ex he would have remained married just so he wouldn’t have to pay lawyer fees. We are both on the deed and mortgage (which he pays) and I contribute. The divorce settlement states that we were to sell the house when my son graduated high school. My son is now 26 years old and I want to move on with my life and get my share of the house. 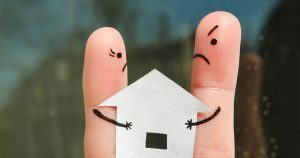 He threathens to stop paying the mortgage because he does not want to sell and I cannot afford to buy him out. He has already declared bankruptcy in the past. Do I have to hire a lawyer again the get him out or can I go straight to the courts? You can represent yourself in court. But whether that’s a good idea is another matter. If you represent yourself in court you’ll need to learn the laws of your state regarding the issues at hand, plus all the rules of your local court and how the paperwork should be filed and by when. If you are ready to take that on, then by all means proceed without an attorney. But before you do that, you might consult and attorney to see what legal ground you have to stand on. I’m a Realtor. My client and her husband finalized their divorce three weeks a go. Her husband is a bipolar and not making any payments on their house. The wife and two kids just moved to an appointment for their security. She wants to sell the house but her husband doesn’t allow to list the house. She asked me to help them. She knows that her ex husband doesn’t pay the mortgage and she doesn’t want to loose the house. Please advise!!!! It depends on what the divorce says. If her husband was awarded the house in the divorce, then she probably has no say over it now. If she was awarded the house, she should be able to do whatever she believes is best. If they were both awarded the house jointly, then she will need to get legal advice at to whether she can force the sale. Me and my ex girlfriend have a house we have been apart now 11 years and I’m trying to sale the property, but she is not returning any of my phone call, nor any of the realtor emails. She initial was okay with the sale of the property but sine then she has been MIA. Is there anything that I can do legally to make the sale go thru or am I stuck at her mercy. Any advise would help thank you in advance. There must be something that you can do, so check with an attorney to find out about the legalities of it. Your real estate agent may be able to supply information to you about this as well. My Ex husband would like to buy me out of our home that the judge has ordered to be sold. The house was appraised last year. He is offering me $26,000.00 less then the appraised value, using realtor fees as the difference. A realtor is not involved. Why would I pay his portion of the realtor fees? Should realtor fees be included. Thank you! It depends on the laws of your state, but I would imagine that since a real estate agent is not involved and those expenses won’t be incurred, those fees wouldn’t be deducted from the value. That said, if he decides not to buy you out, then the house would be sold and those fees likely would be incurred. Getting ready to divorce, husband wants the house but won’t be able to refinance due to credit. He says he will pay the mortgage and the kids and I can live here until our oldest is ready to move out on her own. But I don’t want our finances intertwined at all, it’s been hell for years so I really need this to be over. Would we be able to make an agreement in our divorce that I “rent” the house from him and instead of him having to give me half of the equity he could give me alimony instead? There’s gotta be a way to end my marriage but allow him to keep the house even though our credit isn’t good. In most states, you can make any agreement that makes sense for your family. But whether that is your best option or not may be another story. You can start legal action to have him carry out the provisions of your divorce agreement, or you can come to a new agreement. I divorced in june 2018 and left. I had no job and no income. I had to move back in with ex. House was awarded to both. She wants me to sign a quit deed and I said no. Can she force me out? All i want is my share. We were been married 26 yrs. Can she find me in contempt of court? If the house was awarded to both of you, it may be that either one of you can force a sale, if the other won’t buy them out. An attorney in your state could tell you for sure. If there were court orders that said you’d do something and you didn’t, then I suppose the court could find you in contempt.